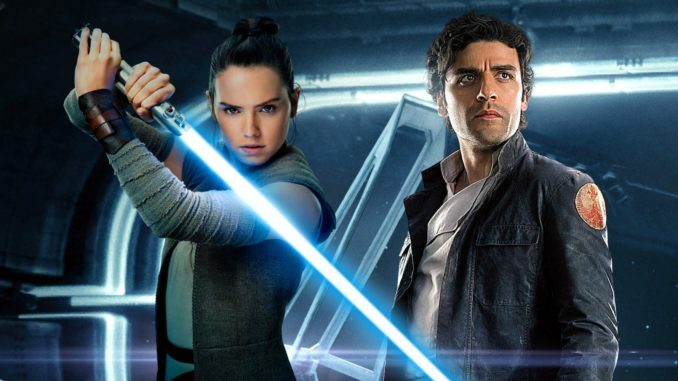 HomeMovie and TV NewsDoddle Digest: Star Wars 9, Avengers 4, Indiana Jones 5 and more! Genre sequel news galore in this edition of the Doddle Digest! Marvel continues to march forward with plans until 2024 while Indiana Jones 5 has been pushed back. Star Wars 9 gets some new casting news, we get a bit of info on Quentin Tarantino’s proposed Star Trek movie, and a Joker film starring Joaquin Phoenix is a go! Check all that out below! The main strategy is that in many ways I feel like we’re still in the midst of delivering on the promise from that last event! We’ve still got Captain Marvel and Avengers 4. Those are the big ones left to go, having just finished this. So it’s about completing the promise before you start promising a whole lot of other things. Obviously, people are aware of Spider-Man: Far From Home, and Guardians 3, which James [Gunn] gets into prep on very soon. Outside of that, we like the idea of having the world do what we’re doing, which is focusing on the immediate future. 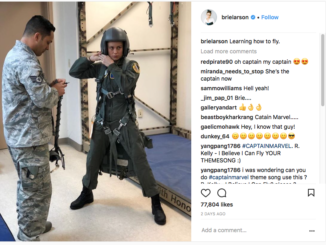 Once that happens, we will – I don’t know that we’ll do exactly the same kind of thing, that many years out – but there are secret vaulted doors in Marvel Studios that lead to essentially what we’ll be doing between now and 2024. 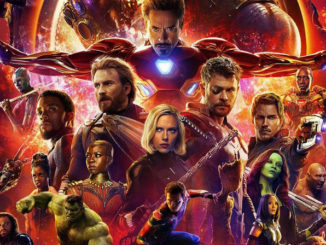 Feige also spoke about Avengers 4 a bit and it looks like they have more time than usual to wrap up the story they began with Iron Man. We’re just starting the edit. The brothers have worked on their cut, and we’ve been together in the editing room for a couple weeks now, so it’s very early days. But it’s much earlier than usual, right? Usually we’re still filming. Captain Marvel comes out in March, while this one comes out in May and we’re already starting. It’s fun to get a jump, it’s good having already shot the majority of the movie. So we’re just getting into our traditional editorial process now. 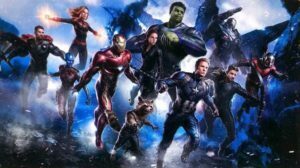 In a separate interview with the Los Angeles Daily News Feige also addressed the 20th Century Fox/Disney merger and what it means for bringing the X-Men and the Fantastic Four into the MCU. Not until we’re given the word [about the merger]. I have vague dreams and vague ideas. But right now, bringing to life the 10,000-plus characters that Marvel fully controls is what the game plan is. In the case of the Fantastic Four, Ant-Man and the Wasp director Peyton Reed was once attached to direct the film and is still interested in dusting off his treatment. X-Men would be an interesting dilemma for Feige to approach because of the origins of the mutants. Have they always been in the Marvel Cinematic Universe, but working in secret or would they be “retconned” in some other way? Whatever the Marvel president may be thinking, it seems to be far too early to really discuss outside of possibilities. Looks like we’ll be waiting just a little while longer for Indiana Jones 5. 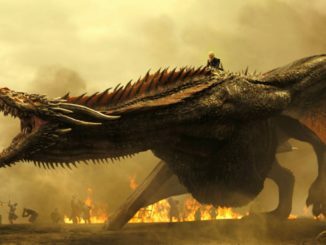 The film’s script was being written by David Koepp but according to Collider that is no longer the case. 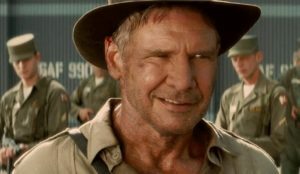 Lawrence Kasdan is now set to write Harrison Ford’s final outing as the fedora wearing archeologist. That also means the film is being delayed from a 2020 release date to a year later. Personally, even though I wasn’t the biggest fan of Solo: A Star Wars Story I think he’s the perfect person to write this film since he also wrote Raiders of the Lost Ark. Meanwhile, the delay means that Spielberg is moving on to direct his adaptation of West Side Story. My assumption is that it’s with us. I mean, that’s how it’s been presented. I don’t know. Look, until deals are done and contracts are signed and schedules are cleared, nothing is set in stone, so anything can happen. My understanding is that Quentin had this idea and they were shaping it and forming it and he’s off to do his Manson movie. And it would be after that that [the 2009 cast] would maybe go and do one with him, which is pretty exciting, pretty cool. S.J. 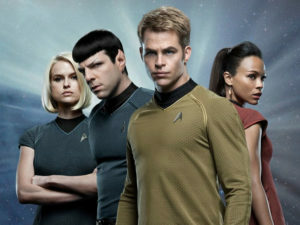 Clarkson was hired to direct the fourth Star Trek film with the current cast, which is rumored to bring back Chris Hemsworth as Kirk’s father, so there’s no question that Tarantino’s film would be Star Trek 5. Considering Tarantino’s love for the 60s and 70s which is when the original Star Trek premiered you have to wonder what style the film would have. Hello, what have we here? Billy Dee Williams is back in Star Wars as Lando Calrissian! What started as a rumor because the actor cancelled an appearance at a comic convention due to a scheduling conflict turned out to be right on the money. The Hollywood Reporter confirmed the casting of Williams in Star Wars 9. With the unfortunate passing of Carrie Fisher who will probably not appear as a digital character, and both Luke Skywalker and Han Solo being killed off onscreen in the past two saga films, it seems that Lando will be the character that somehow outlives them all. In other casting news, long time J.J. Abrams collaborator Keri Russell has been brought in to play a “role [that] calls for action-heavy fight scenes” according to Variety. There’s no word on who she could be playing, but speculation is running rampant with her playing everything from Rey’s mother to Mara Jade. I really hope they don’t retcon Rian Johnson’s explanation of who her parents are. 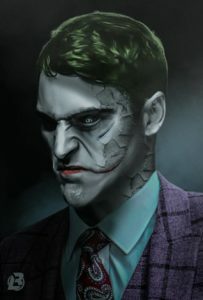 Warner Bros. has officially signed off on a Joker film starring Joaquin Phoenix. It is reportedly based on Alan Moore and Brian Bolland comic The Killing Joke which tells an origin story for the Batman arch-nemesis according to The Hollywood Reporter. The Hangover director Todd Phillips is set to helm the film that THR is reporting will go before cameras in September. [with a budget in the] $55 million range, significantly lower than the tentpoles that dominate the form. And the standalone is meant to be darker and more experimental in tone and content (at least as experimental as a studio can be with established brands such as DC), which is described as being akin to a crime drama. There’s also a Joker film starring Jared Leto in the works at Warner Bros. as well, which is interesting. We know Warners is trying to untangle the DC films but whether that future contains standalone movies or more film in the shared universe (or both) is still up in the air. All of the news this week seems to both be looking at the future and honoring what came before. I can’t wait to see what these franchises have in store soon.